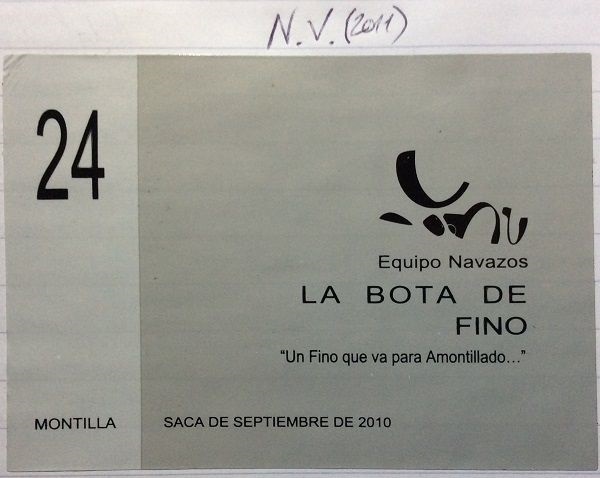 From a second batch of Equipo Navazos wines, courtesy of Lay & Wheeler. Technically a Montilla-Moriles DO rather than a Sherry, but nevertheless a very good wine: a complex, changing, aged Fino, that is verging on an Amontillado. The essence of saltiness, this one. Deep gold, with copper glints. Quite intense, complex and changing nose: putty, honey hints, almonds, salt, wax, oak and touches of olive brine (but subtle). Hint of green apple skin. Subtle. Intensely salty palate, but transforming into a powerful oaky and toasted almond profile. Full bodied Long, anchovy toast finish, with some slightly flinty mineral notes.